Happy Hour: M – F Noon to 6PM – Free pool during Happy Hour. Crazy Craig’s Cheeky Monkey Bar is Branson’s most popular new bar for drinks, entertainment, nightlife and fun in Branson, Missouri. 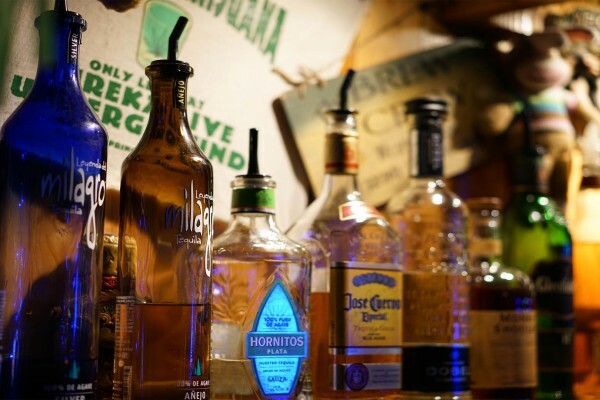 If you want to have a good time, enjoy great drink specials & explore the nightlife in Branson, Missouri, then you have to check out this Branson bar, located near Branson’s shows & Table Rock Lake. 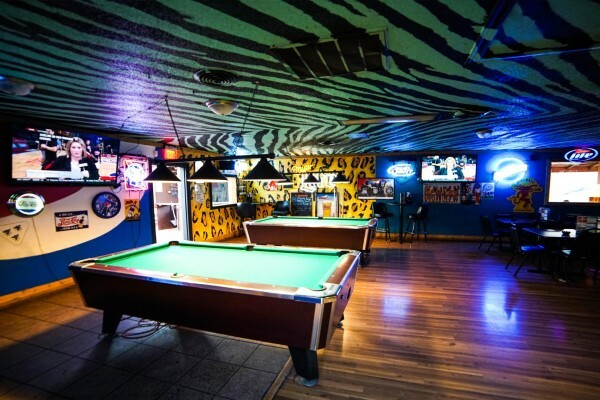 We aim to provide a safe place to enjoy yourself but with great entertainment options. 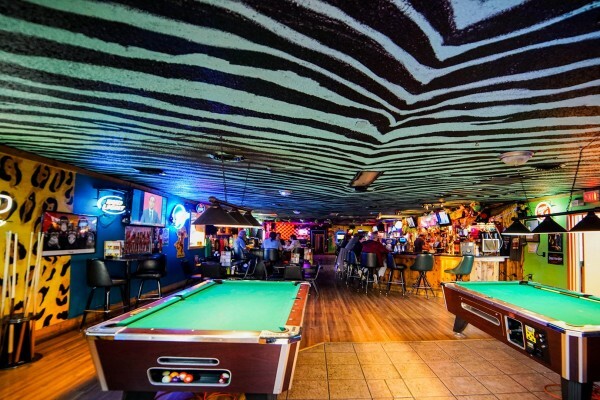 The Cheeky Monkey Bar has awesome drink specials every day and live DJ’s, themed parties, live bands and lots more only a few miles from the strip and within view of Table Rock Lake in Branson. 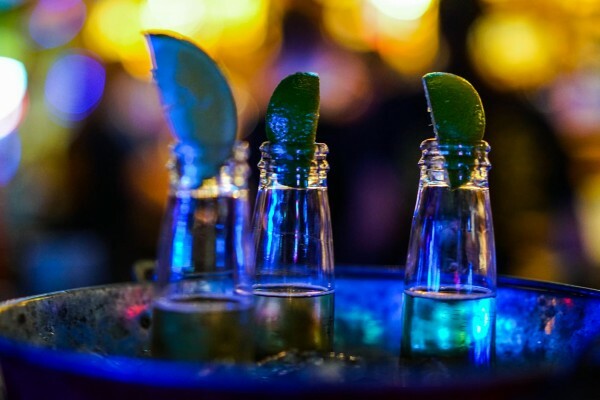 You’re sure to love the fun atmosphere and easy going attitude you want when enjoying drinks & a night out with friends. Come by and let us show you why Crazy Craig’s Cheeky Monkey Bar is Branson’s most popular new place for drinks, fun, dancing, games, food and more. 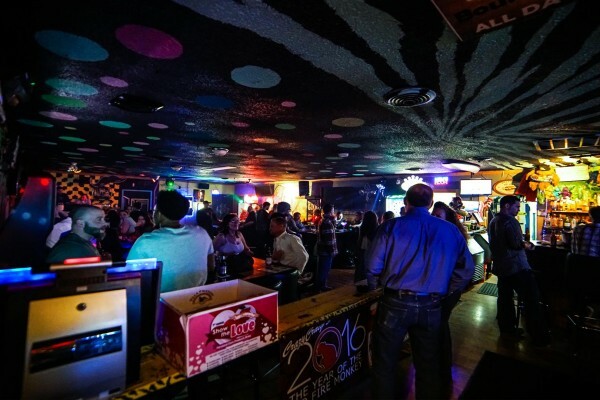 Check out our bar entertainment calendar and see who is playing this week. Then come out and get cheeky! 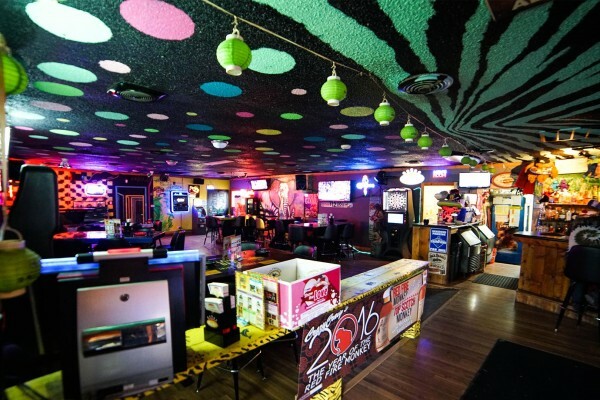 "This is a great place, lots of fun and reasonably priced!! Staff is awesome too!" "Went out for Cheeky's second birthday and $2 drink specials. Happy birthday! It was FANTASTIC! Our service was exquisite. Kid friendly! Kim, our waitress was awesome. My kiddo took a spill out of a chair and she was there with all means to help him feel better. Pool tables were full and my little guy wanted to play a round, a great group of guys stepped aside, gave him a few pointers, and paid for his game! The food was delicious! I recommend anything on the menu. Chicken quesadilla was the best I've ever had. We had such a great time, and we will be back. Thanks Cheeky and all the great staff!" "This place is the best. We came in for my birthday and my sis anniversary. We were welcomed to free shots and myself a huge birthday drink. They made sure we were well taken care of and we had anything we needed. Most def will be back." "Best service I've ever received in a bar in my life, and I've been in several! Every staff member introduced themselves to me and my friend and they were as nice as could be and laughed and joked with us. This is the only place to hang out in Branson. We are non smokers but there is fairly good ventilation and when you're out drinking, you should kinda expect smoke! Next time I'm bringing a nice Cuban cigar!" "We had such a good time here! The staff was so welcoming. We were in town for a dance competition and needed something quick, decently priced, and delicious. The Cheeky Monkey was just the place! We had all of our girls there (ranging in age from 4-14) and they were very accommodating. Good place to take the family! They just ask that kids are out by 9:00, which is completely reasonable! Thanks for such a fantastic experience! We will definitely be returning." "Fun place, super nice people, lots of tv's, and free pool until 6 every day."